HO HO HO Happy Holidays and Happy December 1st!!! What better way to start off the season of GIVING than with a totally awesome 12 DAYS OF GIVEAWAYS!!! It’s time to start giving back to others and spreading some love and holiday cheer! On this 1st day of our amazing MALARAE 12 DAYS OF GIVEAWAYS we are partnering with JV STUDIOS & BOUTIQUE to give you a $50 GIFT CARD! BONUS+++: We’re adding the MALARAE CREATIVE BRACELET to today’s giveaway (value $35). Walking into JV Studios & Boutique is such a treat. Every detail of the little shop will give you the feels. You will be greeted by friendly staff or often the owner Jasmine herself as soon as you come in. Jasmine is a long time successful jewelry maker herself and in 2013 decided it was time to pay-it-forward, and open a boutique to support other makers & designers in the pursuit of their dreams. You can find Jasmine’s own creations in store, but also a beautifully curated collection of handmade jewellery, clothing, natural apothecary, home & paper goods and yes malas too. 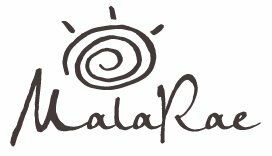 You can find MalaRae in store and online. Jasmine is a strong supporter of local makers and Canadian design. If you haven’t visited JV Studios & Boutique yet, it is a must - especially if you are starting your Christmas shopping + want to support local! They are located in the trendy neighbourhood of Ottawa’s Wellington West and if you aren’t in Ottawa, find them online at www.shopjvstudios.com. You will have TWO chances to win this wonderful prize ($50 gift card from JV Studios & Boutique + MalaRae Creative Bracelet). One will be given away on the 13th of December - the other will be a part of a GRAND PRIZE draw at the very end of the giveaway when someone will have the chance to win EVERYTHING from the entire MalaRae 12 Days of Giveaways! Total value… $1768.50!!!!! Stay tuned for more details! BONUS: Tell us if you’ve been to JV Studios & Boutique before. DAY 1 giveaway contest runs until midnight EST December 12th, 2016. Enter as many time as you like until then. DONE!!!!! So excited! I have never been JV Studios & Boutique, I definitely will now. Totally addicted to Mala Rae! This contest is awesome in that it’s introducing me to stores and studios I’ve never been to before…may not be good for my credit card!!! I love JV studio!! Everything there is so beautiful!!! I’ve never been to JV Studios and Boutique, but it looks lovely! I absolutely LOVE JV studio. I almost exclusively buy my jewelry there. Such a beautiful collection! I’ve never been to JV Studios and Boutique, but I plan to check it out. What an awesome content you are hosting!! I would love the jewelry I see. I would love to win! I want to win because this piece is beautiful. I definitely needs to update my jewelry collection and this prize would be a great addition! Great little studio with so many beautiful peices! Would love to add a unique necklace and a creative malarae bracelet to my collection! I’ve never been to JV studios but I think I will have to check it out! The pieces look beautiful!